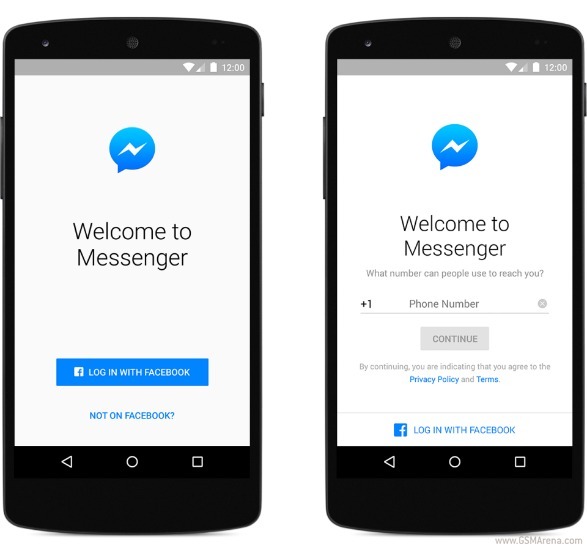 Starting today, you can sign up for Facebook Messenger even if you don’t have a Facebook account. After you install the Messenger app, when you run it for the first time, you’ll see the screen above. You can choose “Not on Facebook?” to be able to sign up using your phone number. You also need to state a name and add a photo. But that’s it. From that point on, you can use Messenger even if you don’t also use Facebook’s social network. Obviously, you can still log into Messenger with your Facebook credentials if you so wish. This just makes it possible for people who for whatever reason don’t use Facebook to communicate using its Messenger apps. The bad news? The new functionality is currently only available in the US, Canada, Peru, and Venezuela. We assume the rollout will hit other countries in the future, but nothing about this has been announced yet, so it’s unclear when to expect it to happen.